Two of the patients have since died, and the third was found alive. Three Ebola patients escaped from quarantine in a port city of nearly 1.2 million people in the Democratic Republic of Congo this week, amid the country's growing outbreak, health officials said. Two of the patients have since died. The third was found alive and is back under observation in the city of Mbandaka, according to Tarik Jasarevic, a spokesman for the World Health Organization (WHO) in Geneva. "It is unfortunate but not unexpected," Jasarevic told ABC News in an email today. "It is normal for people to want the loved ones to be at home during what could be the last moments of life." 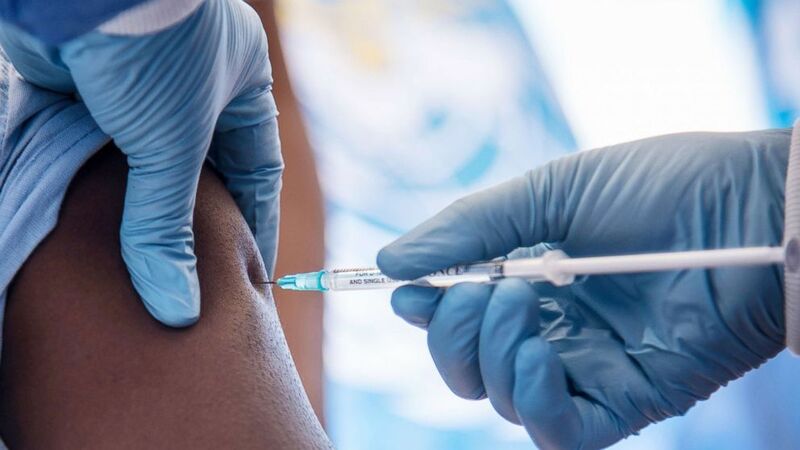 WHO staff in the Democratic Republic of Congo have "redoubled" their efforts to trace everyone who came into contact with the three patients, Jasarevic added. "Because Ebola virus is not like any other disease and because exposure to the dead body or bodily fluids or personal items of the person who died of Ebola can spread the disease, it is important for us to be able to explain these issues to the family members," he added. "We are working with local community leaders, traditional leaders and healers, and religious leaders to better engage with communities so that we understand each other better and can work together in stopping the outbreak." (Kenny Katombe/Reuters) A resident speaks to a medical worker through a cordon ribbon, near the isolation facility prepared to receive suspected Ebola cases, at the Mbandaka General Hospital, in Mbandaka, Democratic Republic of Congo, May 20, 2018. Convincing residents in the Central African nation to seek treatment and utilize safe practices to prevent the spread of the deadly disease is a challenge. Many of them follow religious and traditional practices, especially during funerals, which are not necessarily aligned with health recommendations. Those who live in more rural and remote areas may not believe Ebola is real or that Western medicine can help. So the country's health ministry and its international partners, such as the WHO and Oxfam, are conducting awareness campaigns by organizing community dialogues and going door-to-door to advise people on what hygiene precautions to take in times of outbreaks. "We hear people having doubts and worries about the epidemic,” Jose Barahona, Oxfam's country director in the Democratic Republic of Congo, said. “Some people don't believe in the Ebola virus or in the medication provided; others are afraid of it. We have seen cases of people leaving hospitals and refusing care, which could have dramatic consequences. There are also some traditional practices concerning the handling and burial of dead bodies that can increase the risk of transmission after death." Ebola virus disease, a type of viral hemorrhagic fever, spreads through direct contact with bodily fluids of infected people. There is no specific treatment for Ebola. Symptoms include fever, headache, fatigue, muscle pain and, as the disease worsens, it can cause vomiting diarrhea, rash and bruising or bleeding without an injury. There are several kinds of hemorrhagic fever in the Democratic Republic of Congo, the country's health ministry has noted; thus, not all suspected cases are necessarily Ebola. (Kenny Katombe/Reuters) A Congolese child washes her hands as a preventive measure against Ebola at the Church of Christ in Mbandaka, Democratic Republic of Congo, May 20, 2018. The region's ongoing Ebola outbreak was only in its second week when a single case was confirmed in Wangata, one of the three health zones of Mbandaka, the capital of the northwestern Equateur province. It was the first time in the current outbreak that a case was detected and confirmed in an urban health zone, with all other cases reported in remote, rural areas of Equateur province. By the end of last week, the number of confirmed Ebola cases in Mbandaka city had jumped to four. Several suspected cases have also been recorded there, according to the country's health ministry. "We are entering a new phase of the Ebola outbreak that is now affecting three health zones, including an urban health zone," the Democratic Republic of Congo's Minister of Health Oly Ilunga Kalenga said in a statement in French last week. The health minister did not immediately respond to ABC News' request for comment today about the patients’ escaping quarantine in Mbandaka. Situated along the Congo River, Mbandaka is a densely populated transit hub at the crossroads of Equateur province, the health ministry said, raising fears that the Ebola virus will be easily passed on. Downstream from Mbandaka is the country's capital, Kinshasa, which is home to roughly 10 million people. Just across the river from Kinshasa is Brazzaville, the capital of the neighboring Republic of the Congo. (STR/EPA-EFE/REX/Shutterstock) A worker from the World Health Organization administers Ebola vaccination during the launch of an experimental vaccine in Mbandaka, north-western Democratic Republic of the Congo, May 21, 2018. As of Wednesday night, a total of 58 people had reported symptoms of hemorrhagic fever in the Democratic Republic of Congo since the outbreak was announced May 8. This includes 30 cases that tested positive for Ebola virus disease, 14 probable cases of Ebola and 14 suspected cases. Health care workers have been among those infected, according to the country's health ministry. There have been 22 deaths among these cases, including eight people who died from a confirmed case of Ebola. 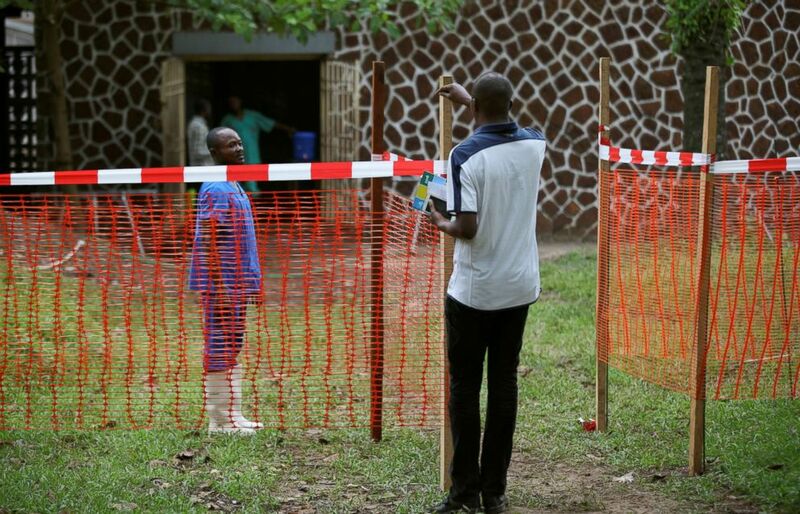 More than 7,500 doses of Ebola vaccines were shipped to Equateur province over the weekend. Meanwhile, millions of dollars from the Congolese government and international aid have been allocated to combat the spread of the deadly disease, including up to $8 million from the U.S. Agency for International Development. It's the ninth Ebola outbreak in the Democratic Republic of Congo since 1976 when scientists first identified the deadly virus.